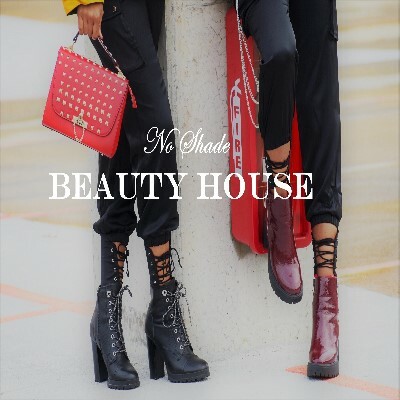 Welcome to No Shade Beauty House! We are for you! We are a Brand known for our fashionable and stylish fashion products. We have a expertise for style and making sure you have the best quality to offer your customers. Our store hours are Monday thru Friday 10pm-6pm. Including ALL HOLIDAYS. ****NOTE: Orders are charged but updated within an estimated processing time of 2-3 business days. Orders at times maybe shipped in split packages without customer approval. In this case we will reach out personally thru email or via phone, multiple tracking numbers will be given at a later time after the first shipment has shipped. A tracking number can take up to 24-48 hours to reflect .If the items have shipped, a refund or cancellation request will not be available. ****NOTE CLEARANCE ITEMS: Please be aware that all CLEARANCE items are FINAL SALE. We ship the items and sizes that are in stock unless instructed otherwise on the notes. If you would like to be notified with any sold outs please add a note on the order. For clearance items, we may not have full pack, the quantity will be sold as it is. ALL CLEARANCE ITEMS ARE FINAL SALE, NO RETURNS OR EXCHANGES. We are here to provide you with everything you need for your boutique to be a success. Hope you enjoy! Happy Shopping!